Dhoni is among the most followed cricketer around the world and his fans are in every part of the world. Wherever he plays any match, the crowd doesn’t let the opportunity go to see India’s most successful captain of all time. Hamilton was no exception and crowd cheered his entrance in the ground with loud voices, where Team India was playing the series decider after leveling the series in Auckland. Apart from that in the final game, a fan was seen running towards Dhoni with Indin flag in his hand. 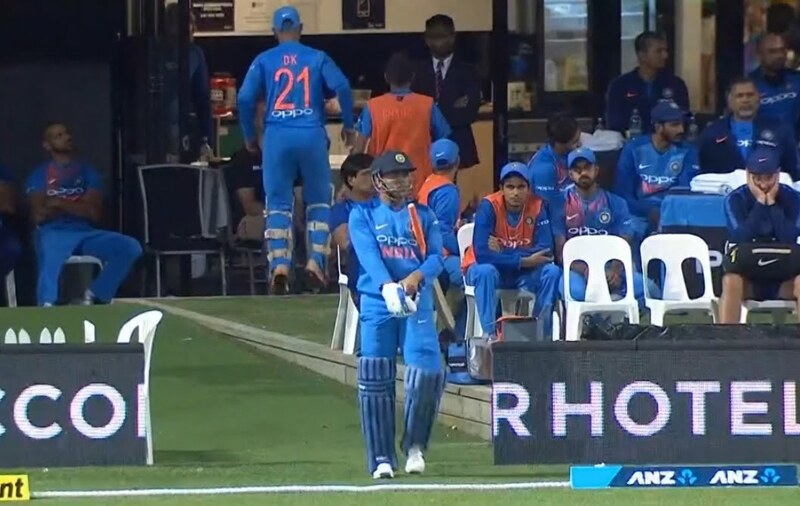 As it happened in the Auckland T20I as well, Dhoni received huge applause when he came out to bat in Hamilton as well. However, something unique also happened in the series decider. 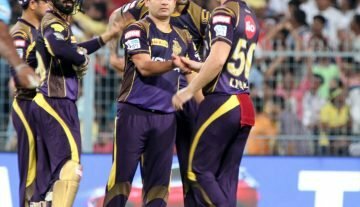 One of the ardent fans of MS breached the security and came runnings towards his idol in the first innings when Dhoni was standing with his wicket-keeping gloves on. The fan touched the feet of the former Indian skipper with the Indian flag in his hand and as soon as Dhoni saw that the flag is going to touch his feet he immediately snatched the flag from the hands of his fan. This shows that how pride he takes while representing his country as on one side he was at the receiving end of the love from his fan but the first thing cared was about the respect of the Indian flag. It also shows that MS believes that nothing his bigger than the country’s flag. Even the Hindi commentator, Harbhajan Singh was quick to applaud Dhoni for his respectful gesture towards the Indian flag. In the 3rd T20 International at Hamilton, hosts held their nerves in the final over to beat India by four runs and clinch the three-match T20I series by 2-1. Regular wickets in the second half of India’s chase didn’t help them to chase the mountainous target of 213. The top-order batsmen put a fine show but lower order failed to capitalize on this opportunity to win their maiden T20I series in New Zealand.